Combine water and butter in a saucepan; heat until boiling. Whisk in flour until smooth; remove from heat. Pour mixture into a medium bowl; gradually blend in eggs. 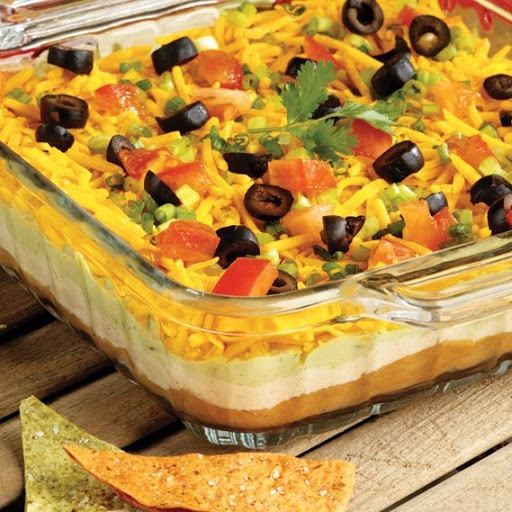 Spread in a greased 13″x9″ baking pan; bake at 350 degrees for 30 minutes. Remove from oven; press baked crust down lightly and set aside. 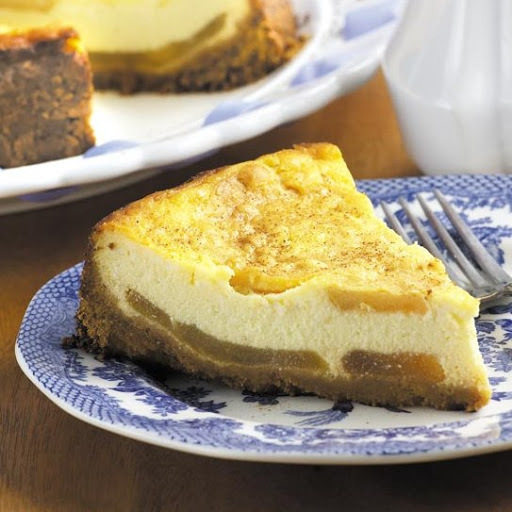 With an electric mixer on medium speed, beat together cream cheese, milk and pudding mix for 2 minutes; spread over crust. 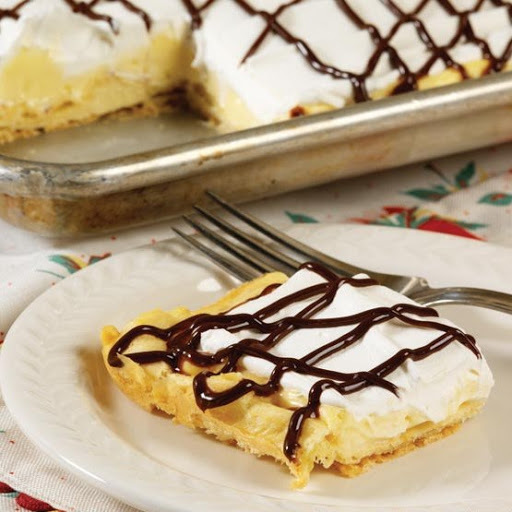 At serving time, spread with whipped topping; drizzle with chocolate syrup. Combine cracker crumbs, brown sugar, 1/4 cup butter and cinnamon. Press onto bottom and partway up sides of an ungreased 9″ springform pan. In a skillet, sauté apple slices on both sides in remaining butter. 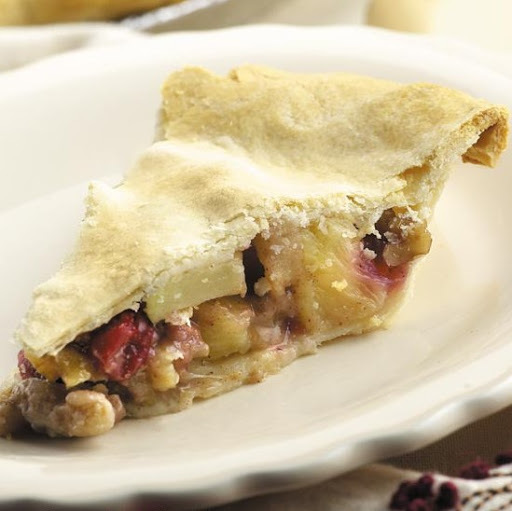 Arrange 6 apple slices on prepared crust. In a bowl, beat eggs, sugar, ricotta cheese, cream cheese and vanilla until smooth. Add whipping cream and blend well. Pour cheese mixture into pan. Arrange remaining apple slices on top and press apples slightly under the mixture. Bake at 450 degrees for 10 minutes, then reduce heat to 300 degrees and bake for 50 to 55 minutes. Cool and refrigerate overnight. Brown ground beef and onion together in a large skillet over medium heat; drain. Stir in soup and chili powder. 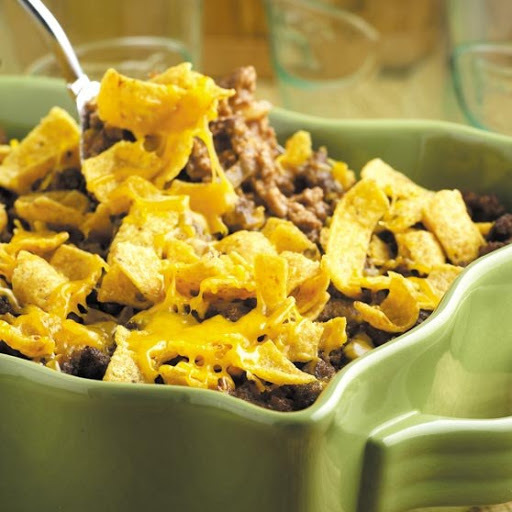 Spread in an ungreased 13″x9″ baking pan; top with corn chips. Bake, uncovered, at 350 degrees for 20 to 25 minutes. Remove from oven; sprinkle with cheese. Bake for an additional 5 minutes, until cheese melts. Homestyle meals are never more than an hour away with our Quick & Easy cookbook collection! Shop Gooseberry Patch for timesaving recipes and solutions! 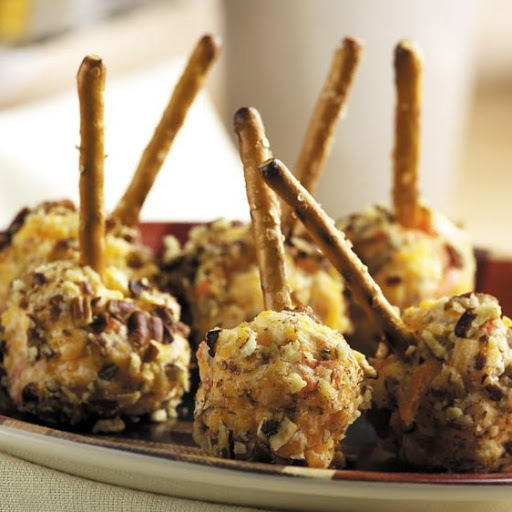 Combine cheeses, carrots and honey; chill for one hour. 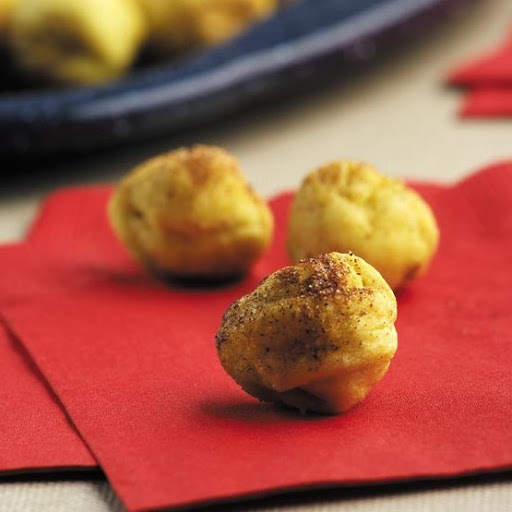 Shape into one-inch balls and then roll in pecans. Chill, then insert pretzel sticks before serving.